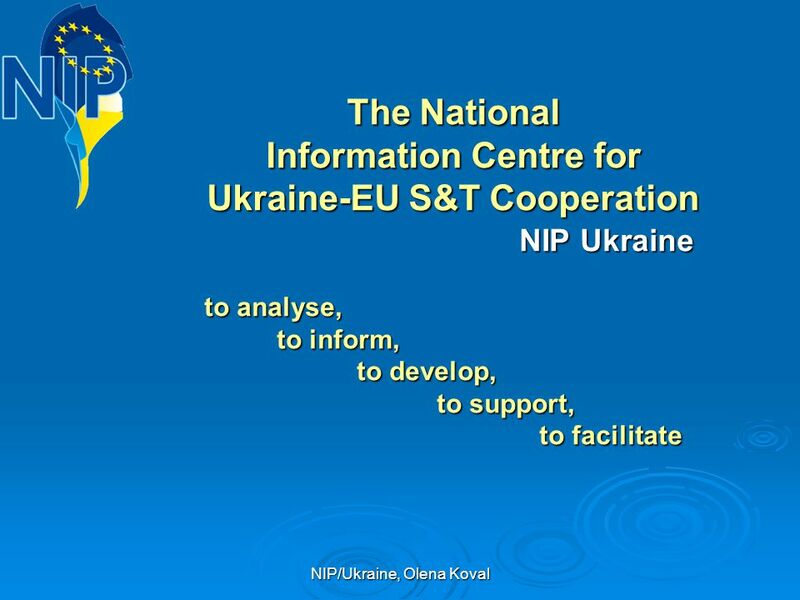 Download ppt "The National Information Centre for Ukraine-EU S&T Cooperation"
TURBO meeting, Brussels, 26/02/2010 Philippe Froissard Deputy Head of Unit D3 Specific International Cooperation Activities Activities of International. Launch Conference for FP5 Launch Conference for FP5 Essen February 1999 The international role of Community research The international role of Community. 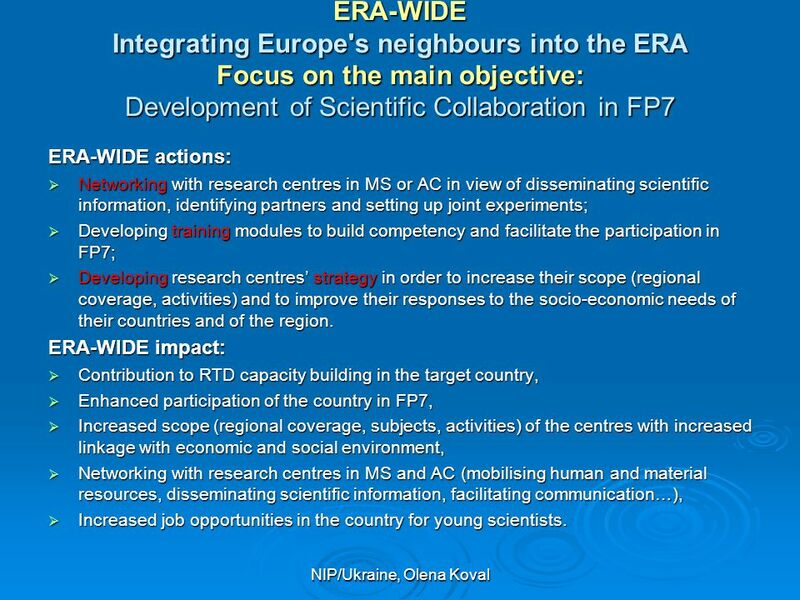 METHODS The FETRIC project is targeted to some identified shortcomings and gaps; for example: lack of links and understanding between the research community. 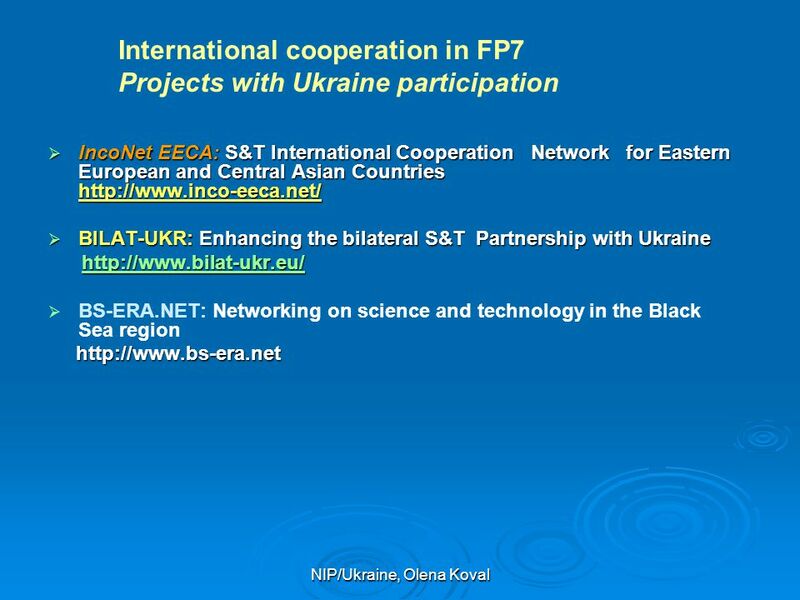 1 EU-Ukraine International S&T Cooperation Provisions for an intensified S&T Cooperation in FP7 Tarik Meziani European Commission - Research DG International. 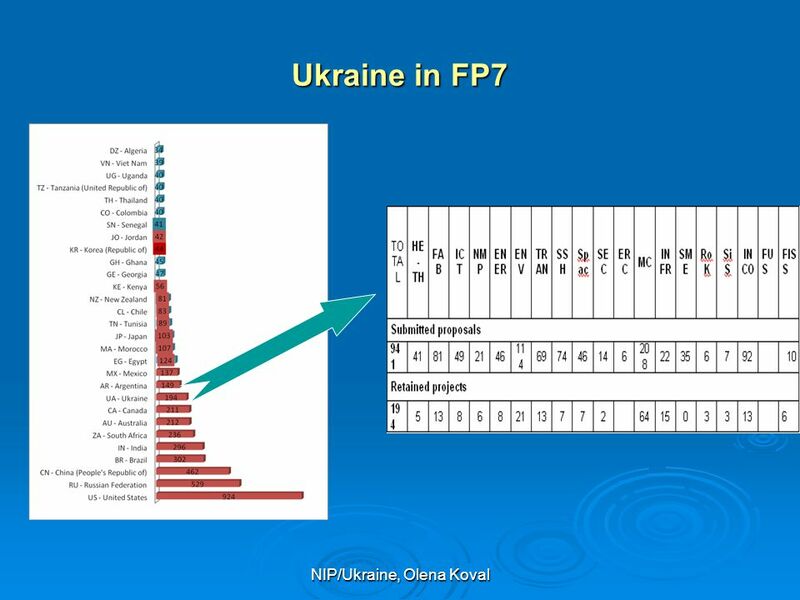 Involvement of Azerbaijan Research Centers in FP7 programs: Institute of Physics's PRIMA-ERA project Eldar Mammadov Institute of Physics, Azerbaijan National. 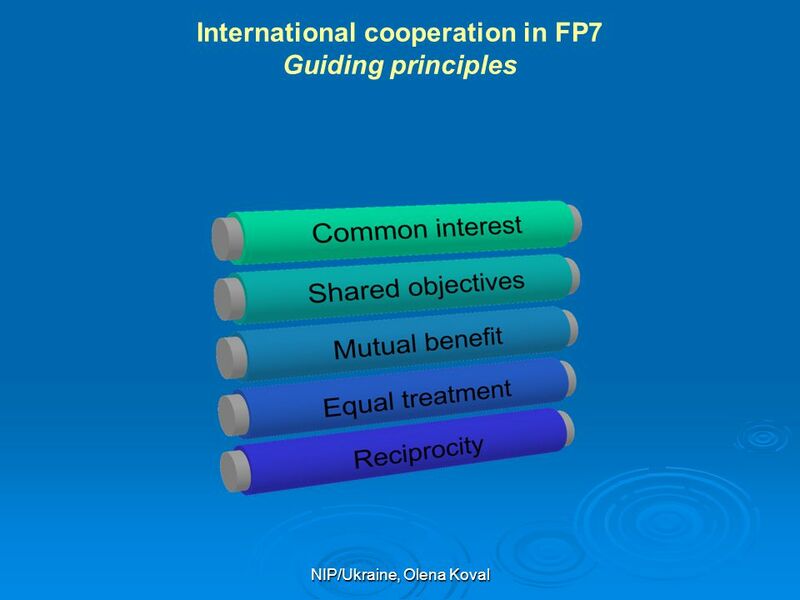 Indridi Benediktsson June 2007 International Collaboration in FP7 Health Research Dr. Indridi Benediktsson Directorate Health Horizontal Aspects and Coordination. 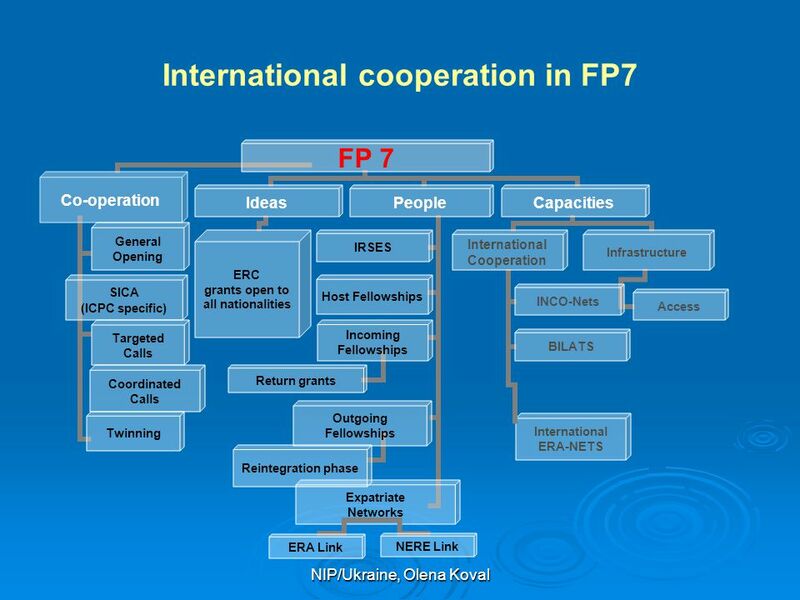 International Cooperation in FP7 Ayman A. Issa Philadelphia University Liaison Officer 21/09/2010. 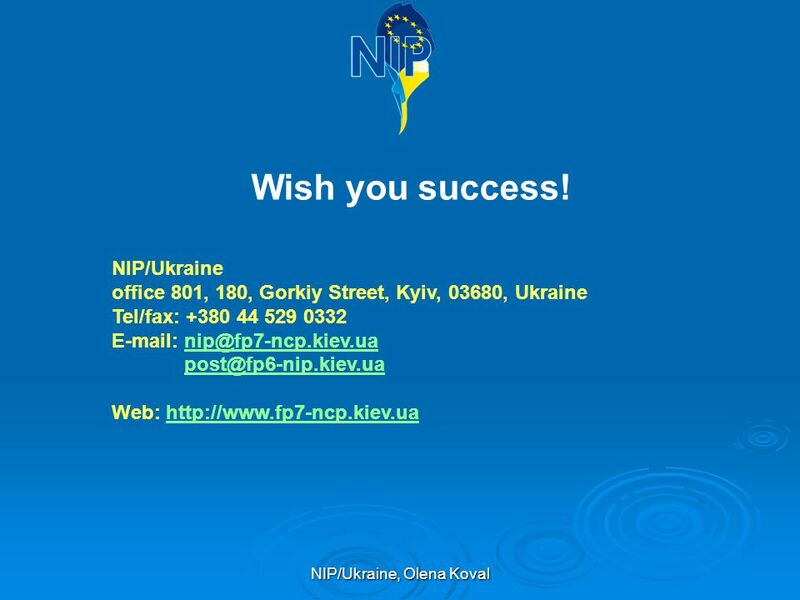 Getting prepared for FP7 - Universities’ Participation in FP7: Towards Full Costs Support Prague, 5 May 2006 Willem Wolters, Wageningen International Helpdesk. 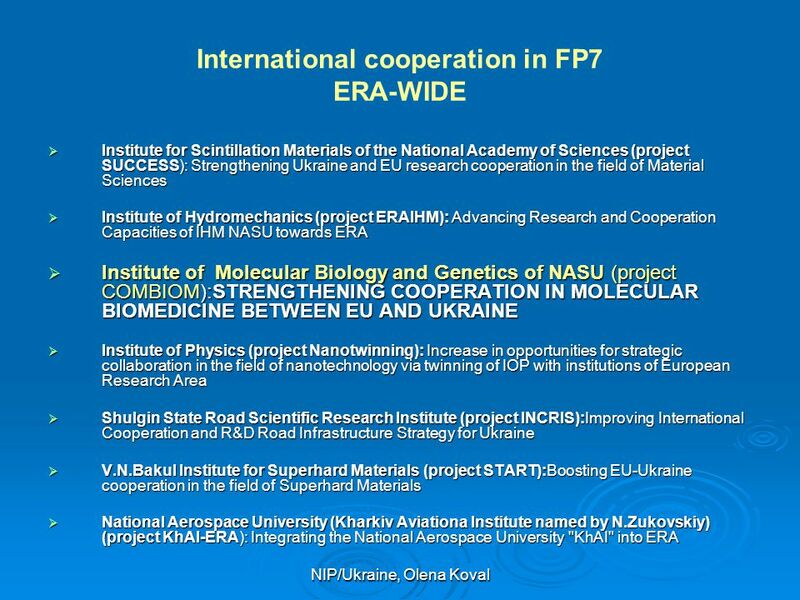 JSO-ERA Project This Project is funded by the European Union Joint Support Office (JSO) for Enhancing Ukraine’s Integration into the European Research. Policy Research and Innovation Research and Innovation IGLO Open Brussels, 3 February2015 EU Research and Innovation cooperation with EaP countries Thierry. 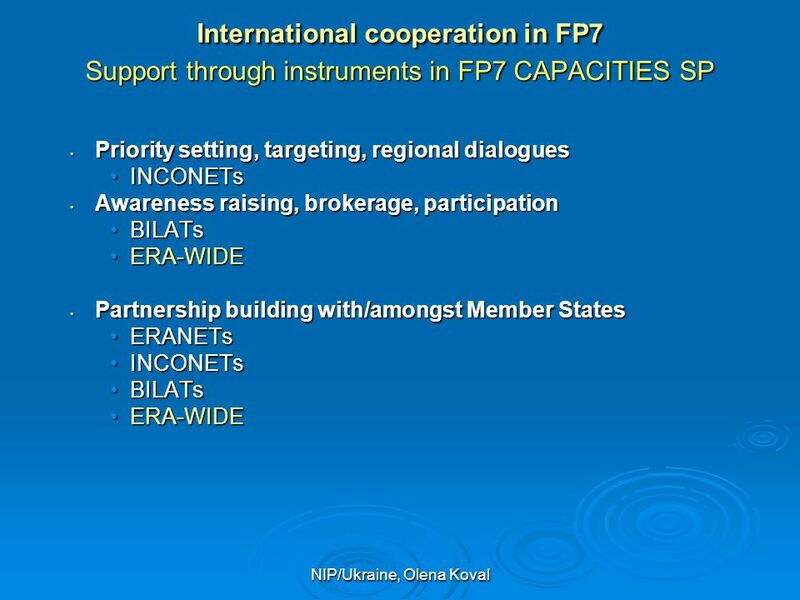 Egypt and the EU FP From FP6 to FP7 and beyond Zeinab El-Sadr, MBA Constantine – Algeria 17 th March 2013.